ICPRB is supporting state agencies in their efforts to better understand the impacts of excessive plant and algae growth (primary production) on nearby stream and river biology. 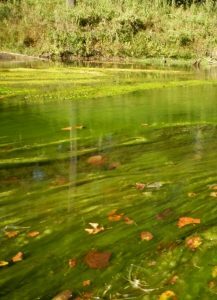 Click here for the Cacapon River Study, 2016. 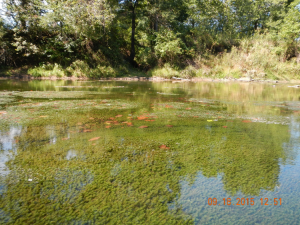 The Cacapon River study in West Virginia focuses on one section of the river that predictably develops an extensive bloom of filamentous algae (Photo 1) and Submerged Aquatic Vegetation (Photo 2) each summer. 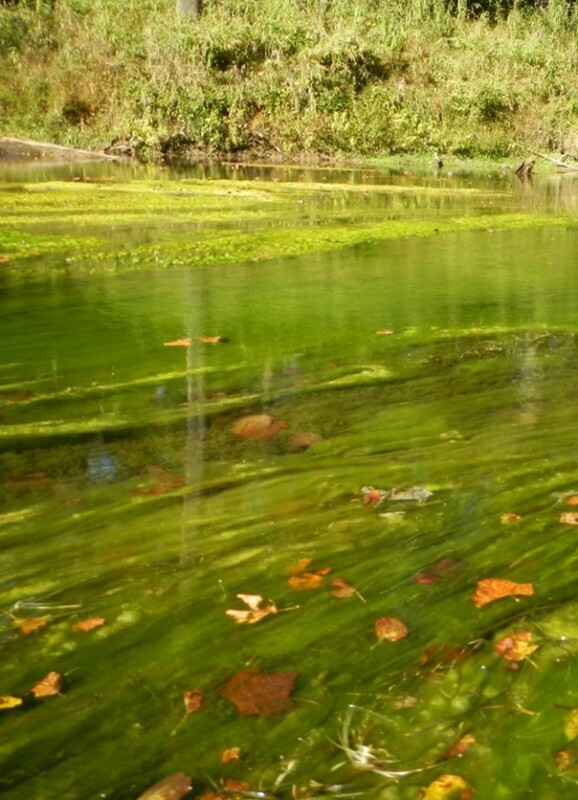 Large daily swings of dissolved oxygen inside the bloom have been documented with continuous monitoring probes. Watershed Plan for Fairview Beach, Va.
Potomac Large River Environmental Flow Needs: Expert Workshop National Conservation Training Center, Shepherdstown, W.Va.